There’s nothing like coming home and warming up next to a roaring fire during the long, cold months of winter, or even chilly evenings in any season. Long commutes to work in the cold and the increasingly short hours of daylight in the fall and winter are made more bearable by the comfort and familiarity of family gatherings by the fire. It may be for this reason that some type of wood-burning enclosure has remained a staple of many households, even though open fire is no longer a necessity for cooking and heating. With this in mind, let’s take a look at one of the more modern options available, the factory-built fireplace. What is a factory-built fireplace and how does it differ from a masonry fireplace? The traditional masonry fireplace is based largely on the innovations of Count Rumford, an 18th-century inventor. 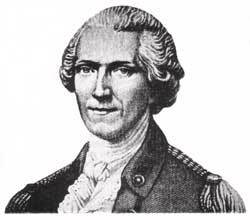 His applied theories on thermodynamics led to the design of a restricted chimney opening to increase updraft, which allowed fire to burn in an enclosure without smoke filling the room. Rumford’s design quickly achieved wide popularity in London households, and he became something of a celebrity as news of his innovation spread. Factory-built fireplaces now make up approximately 75% of all types of fireplaces. Unlike traditional masonry fireplaces, which are built on site, factory-built fireplaces are designed to allow for installation at a later date, although they are just as often used for new construction. 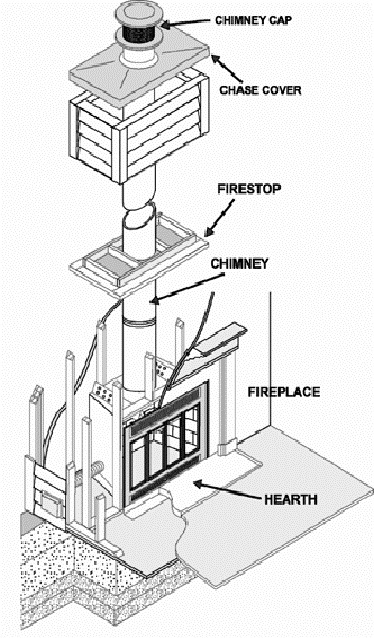 A factory-built fireplace is made up of a firebox enclosed within a steel cabinet, and a steel chimney or flue. It is lightweight, inexpensive, safe and efficient, and can be installed fairly easily on any floor of a home. Pre-manufactured masonry fireplaces are also available, and they incorporate engineering techniques not often used in field-constructed fireplaces, such as a listed venting system. r proper and safe installation. Factory-built fireplaces pass rigorous testing standards established by the Underwriters Laboratories and the American Gas Association. Properly installed, factory-built fireplaces have an excellent safety record. However, as in any situation where an open flame is involved, there are some things to keep in mind in order to avoid any risk of fire hazard. If the fireplace is installed on top of any combustible material, such as carpet or wood, it must rest on a metal or tile panel that extends the length and width of the appliance. Any combustible flooring near the fuel opening must be insulated with non-combustible floor protection. Room air-inlet and outlet grilles must be unobstructed. The same fire-safety precautions that are used for a traditional fireplace should be observed when a factory-built fireplace is in use. In order to ensure safe and optimal operation, normal maintenance and cleaning are required, similar to those used for a traditional fireplace. The chimney should be inspected monthly during the heating season to determine if creosote (the black, oily accretion that builds up as a result of incomplete burning of wood) has accumulated. A professional chimney sweep should be hired to clean out the unit at least once a year.